Either way, he is "very sorry." We know George Clooney, we were shocked too. The 55-year-old actor was caught off guard during a recent CNN interview when he was asked by United Nations correspondent Richard Roth what he thought of the news that Angelina Jolie filed for divorce from Brad Pitt. "I didn't know that. Wow," he told Roth on Tuesday. "That's a sad story and unfortunate for a family. It's an unfortunate story about a family. I feel very sorry to hear that." 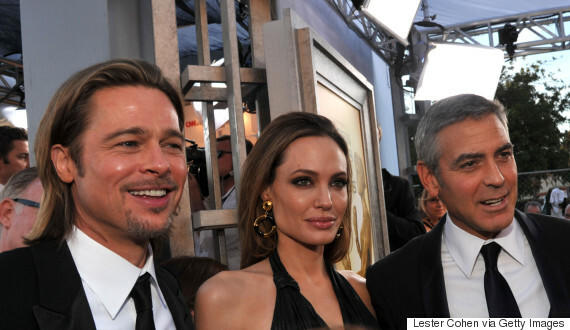 Actors Brad Pitt, Angelina Jolie and George Clooney arrive at The 18th Annual Screen Actors Guild Awards in 2012. Jolie, 41, filed for divorce from the 52-year-old actor after being married for two years. The couple first met in 2003 as co-stars on the set of "Mr. and Mrs. Smith" and were together for 12 years. They have six children together. Clooney was attending a UN round table with U.S. president Barack Obama on Tuesday, discussing the refugee crisis, CNN reports. 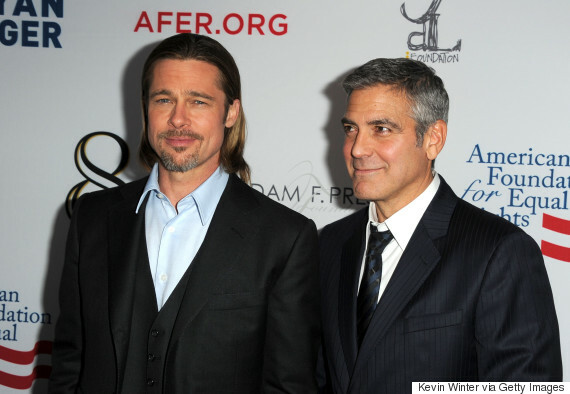 Clooney and Pitt starred together in the "Ocean's 11" movie franchise and have remained friends. Brad Pitt and George Clooney. Watch the full video above for more details.